Brother Kenneth DuBois on taking his first regular step in Freemasonry on on 11th July 2017. Brother Harshad Pithia on taking his first regular step in freemasonry on 12th May 2017. Brother Vikas Tah on taking the second regular step on 21st October 2016 in Masonry. Brother Vikas Tah on taking the first regular step on 12th July 2016 in Masonry. Fulcorn Lodge is delighted to have you as a member and wish you a very happy, enjoyable and a long journey in the fraternity. 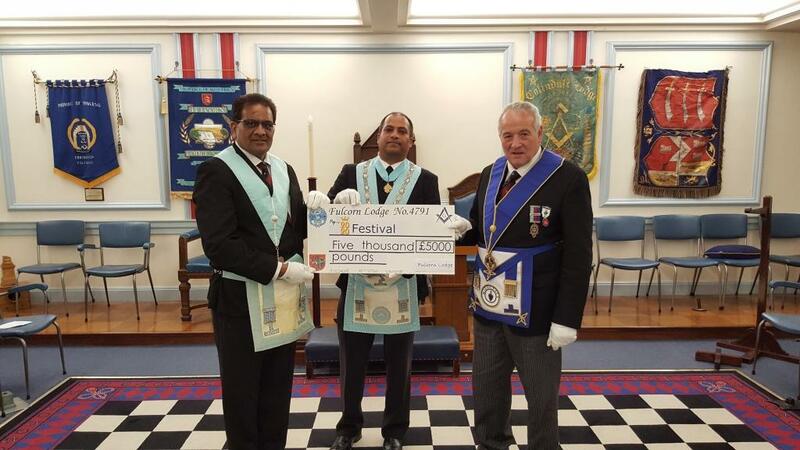 Fulcorn Lodge donated £5000 to 2020 Festival on 13th May 2016. To W Bro Rohit Patel on receiving his first promotion as Provincial Grand Steward on 10th May 2016 at the PGLM AGM. Brother Jeet Gathani on taking the third regular step on 23rd October 2015 in Masonry. 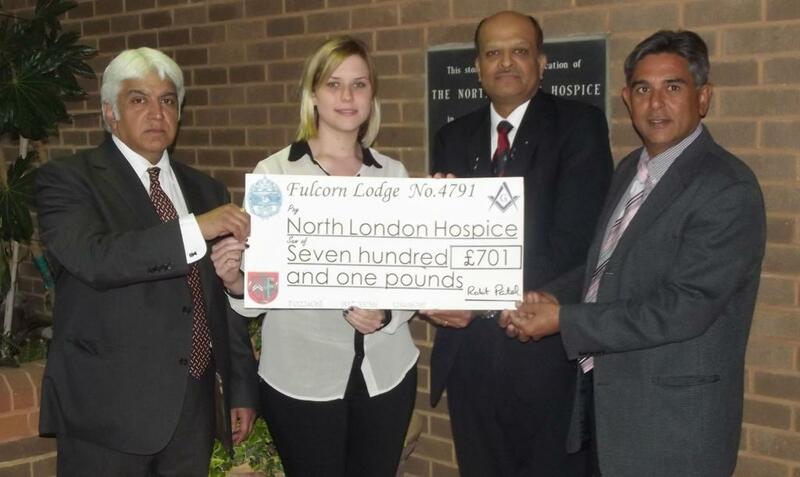 Fulcorn Lodge is delighted to have you as a member and wish you a very happy, enjoyable and a long journey in the fraternity as Master Mason.. Brother Jeet Gathani on taking the second regular step on 14th July 2015 in Masonry. Fulcorn Lodge is delighted to have you as a member and wish you a very happy, enjoyable and a long journey in the fraternity. 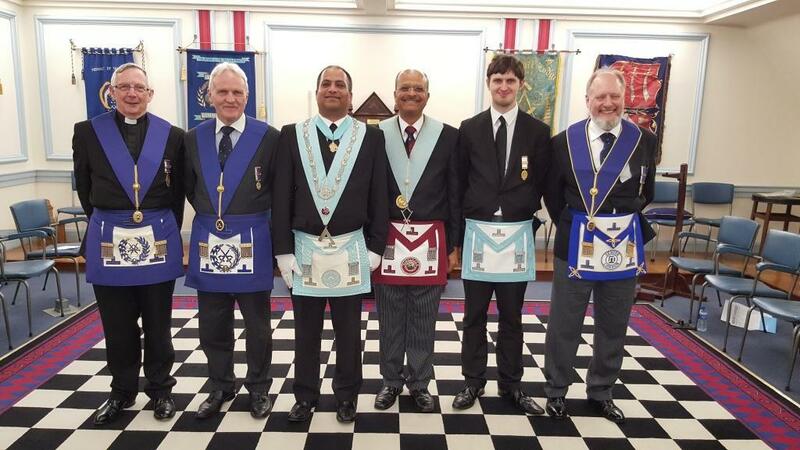 Brother Jeet Gathani on taking the first regular step on 8th May 2015 in Masonry. 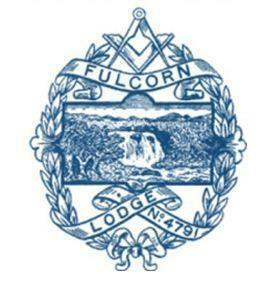 Fulcorn Lodge is delighted to have you as a member and wish you a very happy, enjoyable and a long journey in the fraternity. 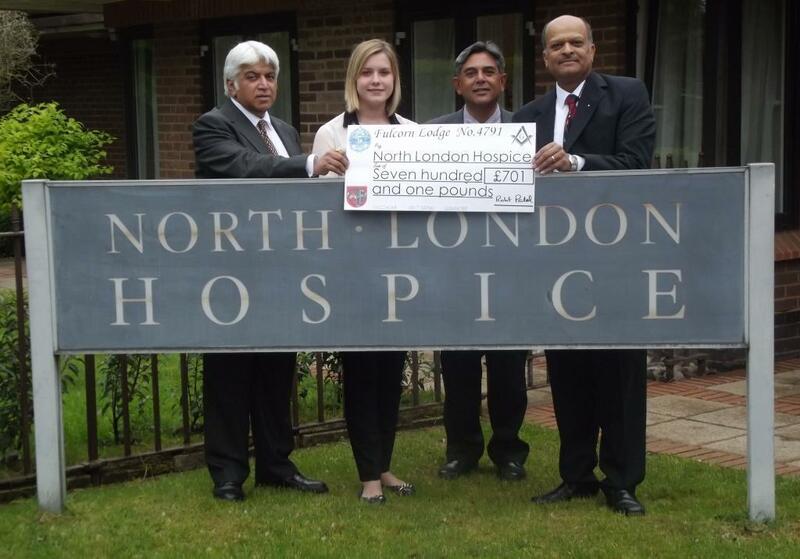 On Tuesday, 28th May 2013, W Master Rohit, W Bros Kumar, Shankar and his good lady Pragna visited the hospice and made our presentation of the funds collected, £701. A huge thanks to all concerned for their assistance and generosity. Bro Ketan Patel on taking the third regular step on Friday 25th October 2013. Bro Ketan Patel on taking the second regular step on Tuesday 9th July 2013. 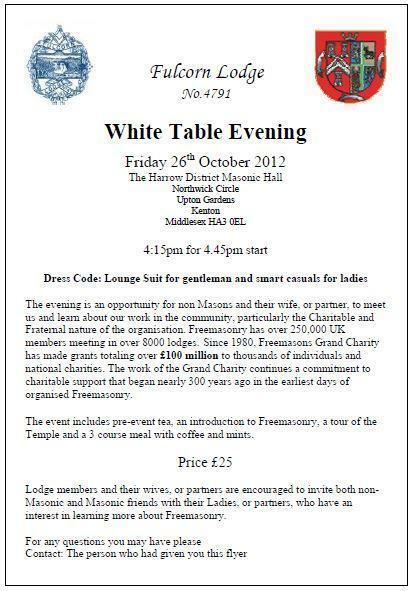 On 19th April 2013, 16 brethren from various lodges went to Bristol for meeting of Lodge of Virtue and Industry. It was a very enjoyable outing. Everyone had a great time. There were 76 people who attended this event, mostly non-mason, who were informed about masonry in general and there after enjoyed a three course dinner.